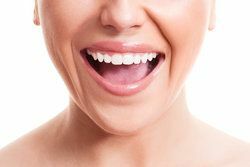 Restoring missing teeth with dental implant treatment requires a significant time commitment, but the benefits offered remain unmatched by any other restorative option. The dental implants timeline at our Missoula, MT, practice varies, as it depends on different factors for every customized treatment provided by Dr. Eugene F. Morris and Dr. Armando A. Gama. Your treatment length primarily depends on the extent of work needed, the number of implants required, how fast your body heals after the dental implants surgery, and whether you need to undergo any preparatory procedures, such as a bone graft. Dental implant treatment is broken down into multiple appointments. First, your doctor will conduct a thorough examination of your teeth and jaws before determining your candidacy during the initial consultation, and create your individual surgical plan tailored to meet your needs. For example, if you want to replace a single molar, our practice offers the option of immediate molar implant placement after extraction. This particular procedure greatly reduces the total treatment time. However, traditional dental implant treatment usually requires several months to complete. 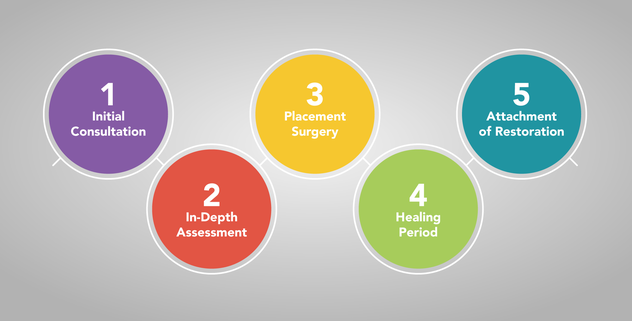 Your treatment timeline depends on the extent of work needed, the number of implants required, how fast your body heals after the dental implants surgery, and whether you need to undergo any preparatory procedures, such as a bone graft. Dental implants require sufficient jawbone mass to support the implant posts. Often, patients who have lost teeth experience jawbone recession and may need to undergo a bone graft, such as ridge augmentation or sinus lift surgery, to become eligible for implant treatment. A bone graft augments the jawbone and strengthens it, thus minimizing the chances of implant failure. If your doctor determines you require a bone graft, you will come in to our practice to undergo the preparatory surgery. It may take up to six months to heal completely from this procedure, after which your doctor can schedule the appointment for dental implant surgery. Dental implants are unique in that they replace the tooth root as well as the crown, and integrate with your body for a permanent tooth replacement solution. As such, treatment requires several steps and an investment in time. The actual placement of dental implants is performed under local or general anesthesia. We also offer sedation dentistry to help you relax. The surgery takes one to two hours to complete, depending on the number of implants being inserted into the jawbone. For the next three to four days, plan to eat a diet of soft and non-spicy foods to avoid irritating the surgical sites. Over the next four to six months, the implants will fuse or osseointegrate with your jaw. During this time, your doctor will schedule one or more follow-up appointments to monitor your progress. It is important to not smoke during the healing period to expedite the process. After successful osseointegration, your surgeon will perform a minor procedure that will expose the tops of the implant posts on which a new dental prosthetic will be attached to restore your smile. Although they require a time investment, quality dental implants are built to last a lifetime. If you are considering dental implants for restoring the functionality and aesthetics of your smile, contact us to learn more about the estimated treatment time.